Illinois offers a diverse landscape with endless opportunities for experiencing unspoiled nature. 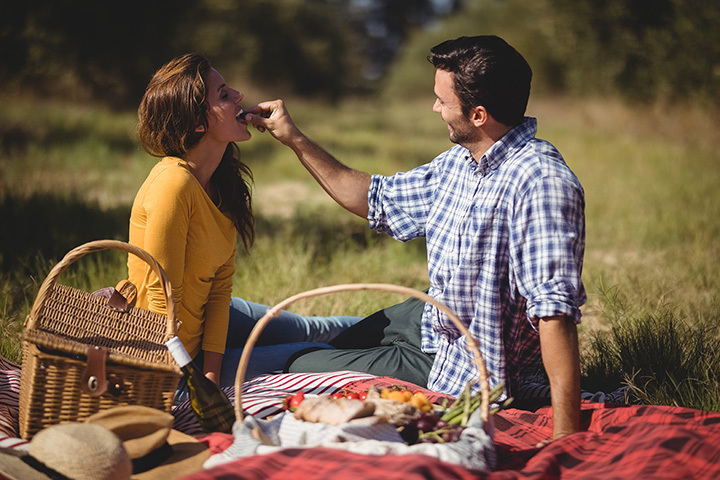 With so many parks and beautiful areas available throughout the state, picnickers have abundant options for enjoying a relaxing picnic. Most parks have picnic tables and shelters available, but visitors can throw down a blanket anywhere to experience up-close wildlife and nature. There’s nothing like a relaxing picnic surrounded by nature. Starved Rock offers developed picnic areas with tables, drinking water, and nearby restroom facilities. Either shelters are available for larger groups of people. Known for its giant sandstone rock structures, Giant City State Park offers unlimited exploration through stunning natural landscapes. Numerous picnic facilities are available throughout the park and they include fire grills, tables, and water. Large groups can reserve one of the five shelters, as well. Millennium Park downtown Chicago offers pristine landscaping, gorgeous urban gardens, and fascinating architectural exhibitions. With so many places to picnic, you’ll always be surrounded with beautiful urban views. You may even catch a live music performance at the park. As one of the most serene locations in Illinois, White Pines Forest State Park is the perfect picnic spot for nature lovers. Picnickers can relax at the shaded picnic areas or under the gorgeous white pines for a peaceful day of wildlife watching. Meadowbrook Park is newly restored park featuring recreated native tallgrass prairie landscapes, paved and unpaved walking trails, organic garden plots, creek corridors, tree groves, and even a farmstead. This park also features a large play structure for kids. Pavilions, grills, restrooms, and drinking fountains are available for picnickers. Although closed in winter months, the Anderson Japanese Gardens offers a tranquil and serene picnic experience surrounded by Zen-like natural beauty. This inspiring outdoor setting features lush gardens, waterfalls, and Japanese-inspired structures. The Margaret T. Burroughs Beach and Park is the perfect spot for a white sand beach picnic. Visitors can enjoy beautiful views of the Chicago skyline and Lake Michigan. Swimming, walking trails, food concessions, and restrooms are available for picnickers. Picnic in a geological paradise at the Matthiessen State Park. View the beautiful rock formations, abundant wildlife, and unusual vegetation around the park. Picnic tables and shelters, water fountains, restrooms, and playgrounds are available at the Dells and Vermillion River areas. The Mississippi Palisades State Park is known for its limestone caves, intriguing rock formations, and steep cliffs. Visitors can utilize the many picnic tables and six shelters, three of which can be reserved. This park is also rich in Native American history. Garden of the Gods in the Shawnee Hills formed 320 million years ago from the Earth’s natural movement and erosion. Visitors can now marvel at the rock formations and panoramic views. A picnic area is available with a nearby campground and observation trail. White Pines Forest State Park is a scenic haven and perfect picnic spot. With magnificent trees and moss-covered cliffs, this colorful park is ideal for wildlife-watching. Four shelters and several shaded picnic areas are available near Pine Creek and include fireplaces, water, and tables. Playgrounds are nearby, as well. The unspoiled setting of Kankakee River State park makes it one of the most treasured areas in Illinois. The clean Kankakee River flows through the park and is a popular fishing destination. Visitors can picnic anywhere in the park and enjoy nature as it was hundreds of years ago. Enjoy spectacular views of the Illinois River at Pere Marquette State Park. Visitors can also view up-close wintering bald eagles and take hosted tours of the woods or river bluffs. Plenty of convenient picnic areas are provided with tables and grills. With plenty of picnic areas to choose from, Illini State Park offers beautiful river views and ample wildlife. This park is also rich in history as it was once inhabited by Native Americans. Experience stunning views of the Mississippi River from an archaeologically significant site. Not only is Casper Bluff Land and Water Reserve beautiful, hundreds of pottery fragments have been produced from the mounds at the location. Although there are no picnic tables, it’s a peaceful and interesting picnic spot.